Pre-orders include the "Lobo Weapon Pack." 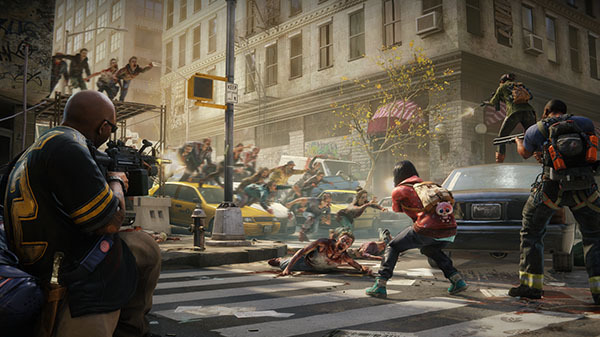 World War Z will launch for PlayStation 4, Xbox One, and PC on April 16, publisher Focus Home Interactive and developer Saber Interactive announced. All pre-orders include the “Lobo Weapon Pack” add-on, which features golden skins for the ARK-103 assault rifle, Keris V10 SMG, and 1911 Protector weapons,as well as the Lobo melee weapon, “a dual-bladed spade perfect for making mincemeat of the undead.” Pre-orders are available here.